Every shoe has a story. And when adidas launched its special edition KG #5 Pro Model, we told the tale of “5.” A number that doesn’t just hang on Kevin Garnett’s chest, but that commands each and every one of his actions. 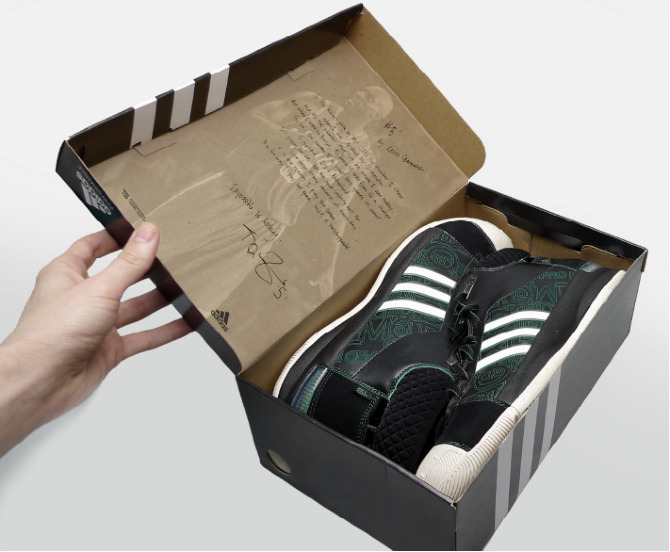 The story was printed on the inside of every box, showing kids the meaning behind the shoes that they had to fill.